This week is really flying by! I just wanted to pop on and post a couple of cards. 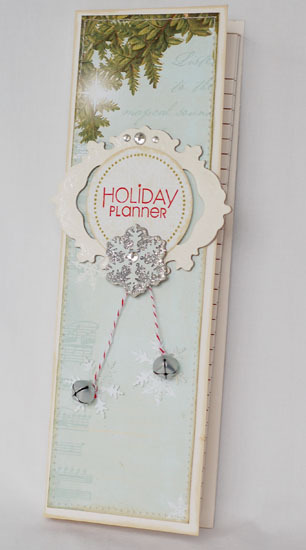 This first one uses a sketch by Jessica Witty. It was my card at Emma's last week. I did a similar Prima card in a post a bit down from here. Notice the pleated paper again?? 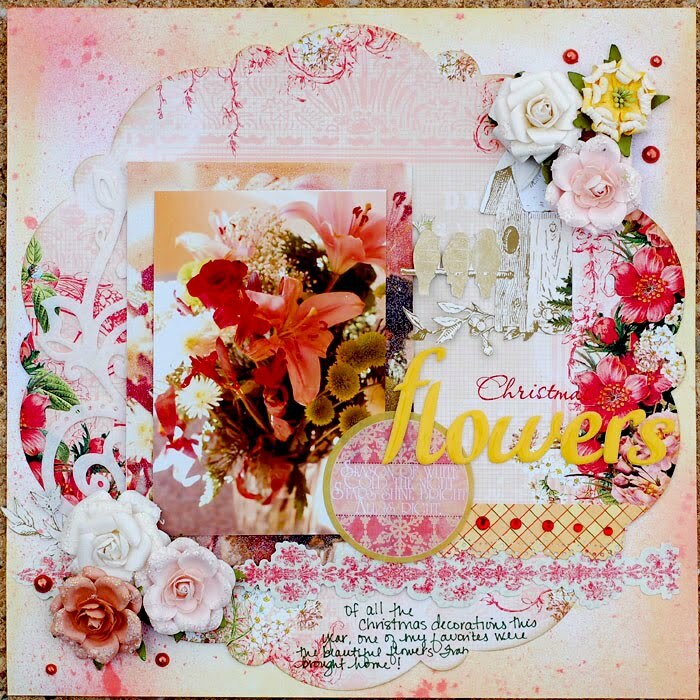 I just love the Shabby Chic line and I paired it with some of American Crafts Botanique. 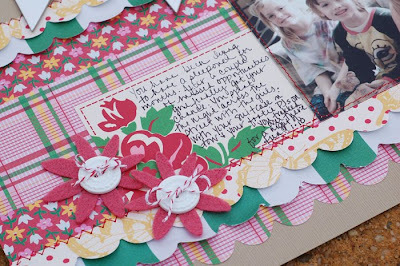 This next card uses Webster's Lullabye Lane line, something else I can't get enough of! 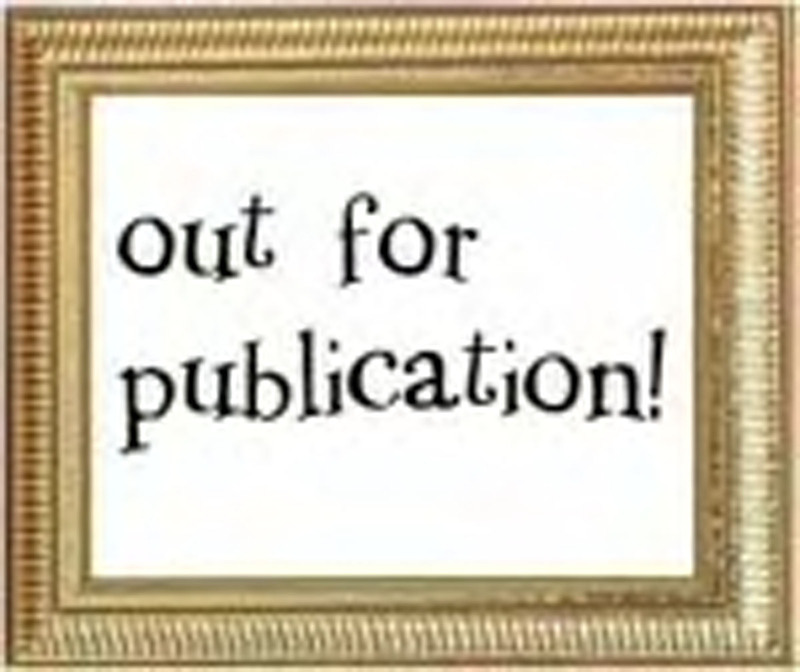 I applied a Hambly rubon to it and cut it out to frame the sentiment. That's all for today! 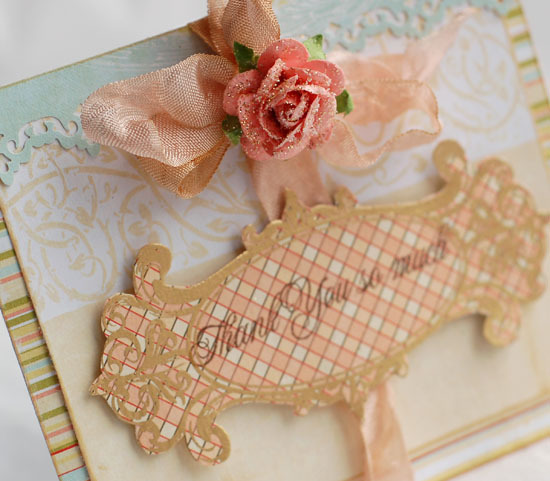 Thanks so much for stopping by and have a great day. 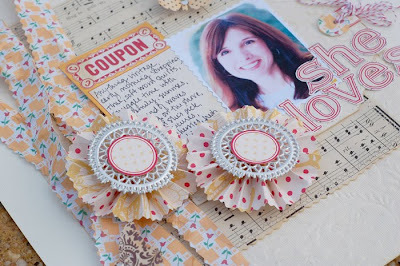 This week's new challenge is up at the Shabby Tea Room and I'm really excited to be a part of it. 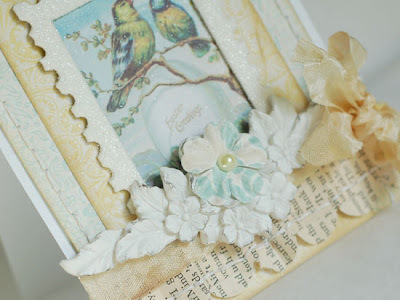 This week's challenge is to make a Spring inspired card using some stitching, either faux or real. I came up with this one. The papers are from Webster's Lullabye Lane line. I can't stop using them! I love the vintage image. It's Crafty Secrets. 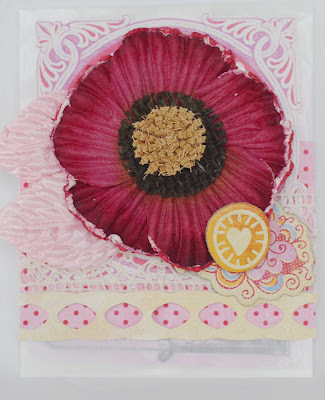 The resin is Melissa Frances, the flower is Prima. 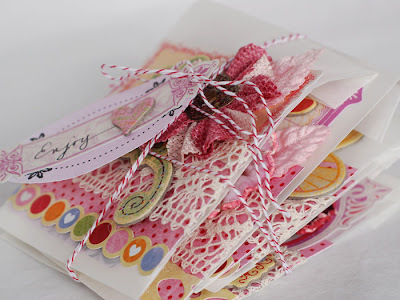 I got some of the beautiful scrunched seam binding from the site that Melissa Phillips recommended. I'm hooked on this stuff now! It's kind of hard to see the stitching in the main photo. 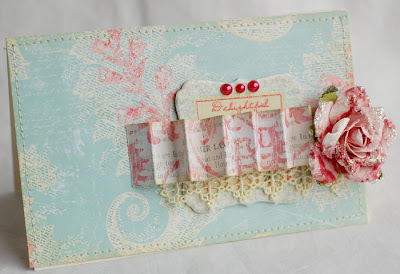 I created the ruffle along the bottom with a vintage book page and added some stitching to that. 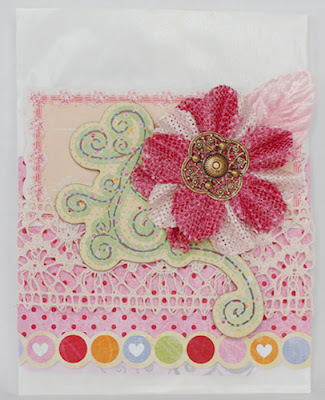 Then I stitched along the sides of the card. 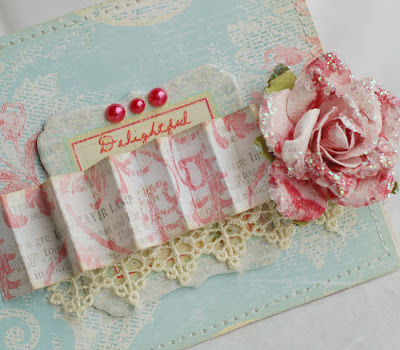 Hope you'll stop by and play along with The Shabby Tea Room this week. I'd love to see your creations! Thanks for stopping by and have a great Monday. It's my favorite day of the week, you know. LOL! Yay! It's official! It's the first day of Spring. And while it's felt that way this past week, we can now kiss winter good-bye for real!! One of my favorite traditions for today is heading to Rita's for water ice. It's a regional goodie, kind of like an italian ice or a slushy! Well, most Rita's locations open up today. (Our's opened last Friday, woo hoo! We've already been there 3 times!!!) The fun part is that they give free water ice away. A couple of years ago my nephew and his friends drove around to 16 Rita's locations for the free treat on the first day of Spring!! One is fine for me. ;) They have a new flavor this year. Peeps!!! As in the yellow, marshmallowy chicks. I think this flavor may be a bit too sweet for me, but Ryan is dying to try it! 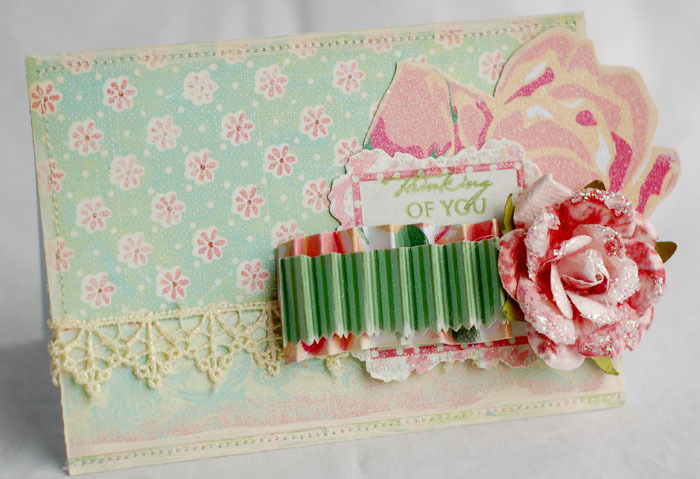 Anyway, in honor of Spring's arrival, I made this card. I used Dawn McVey's color couture collection on here along with Background Basics: Tin Types and Tags for Spring stamp sets. 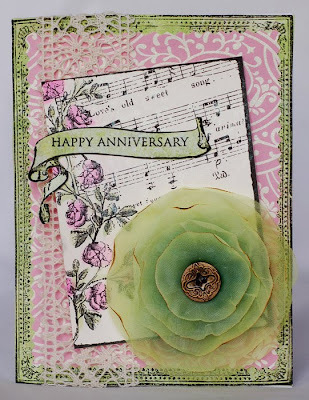 I used Spring Moss ink and ribbon and Rustic Vintage and Poppy Ink cardstock. So, hope you're all out enjoying this fun day! Thanks for stopping by. The Shabby Tea Room. Well, I found some time to create a card for their first challenge. Here is the fun photo that Debbie selected. I love the colors. Here is what I did with it. 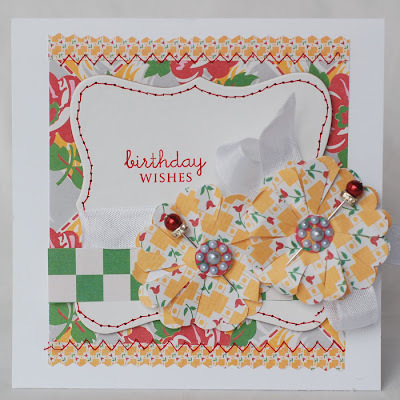 This card is also based on the Card Patterns sketch for the week. And see this cute little blinkie? I get to use it through next week! 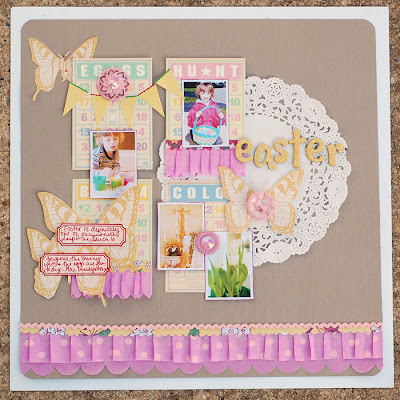 You can see my Guest Designer card on Monday when the second challenge is posted. So excited! That's all for today. Gotta run. 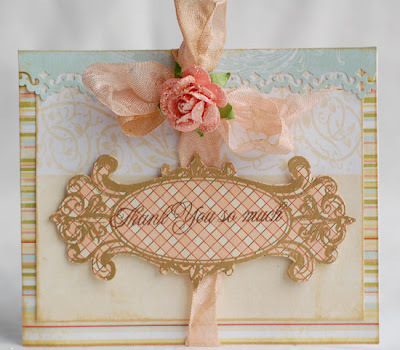 Thanks for letting me share and for stopping by! things Prima. 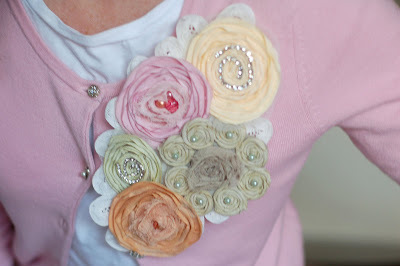 So, I've had these Romani flowers for a bit and had decided to make a bib necklace with them. I'm just loving all of the fun necklaces that are out right now. 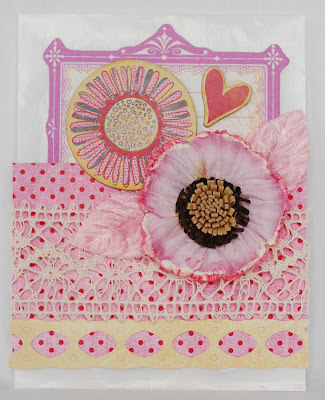 Anyway, I found this antique lace panel and thought it would be perfect. I hot glued the flowers to it and then cut a piece of fun foam slightly smaller than the lace and glued everything to that. I added a couple of chains and I was done. 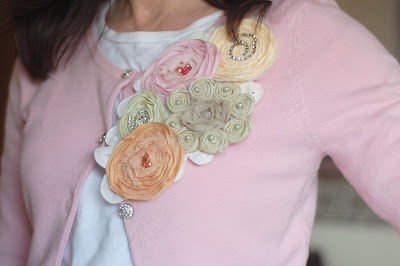 Well, this morning, I was trying the necklace with the cardigan I had put on. I loved how it matched, but it wasn't sitting quite right on my neck. So, I decided to take off the chains and attach it right to the cardigan. I just got my JCrew catalog yesterday and was totally inspired to wear ruffles or blossoms!! Being that I was running late (yeah, I'm in my scraproom doing this when I should have been getting out the door), I just pinned it to my sweater. But, I love how it looks, so I'm going to sew it on later. Anyway, got lots of compliments so I thought I'd share. Sorry the pics aren't so great, but that's what you get when you have a 6 year old photographer who wants nothing more than to get onto Playstation! It's Monday again! My favorite day of the week. LOL! Actually, I had a much better week, last week, so facing this Monday isn't quite so bad. In the midst of creating several things that I can't yet share, I was able to create a couple of cards just for fun. I got my huge order from Emma's the other day. In it was some Prima Shabby Chic. Oh my! How I LOOOOVE this line! The colors and style is so me. So, here's what I whipped up. 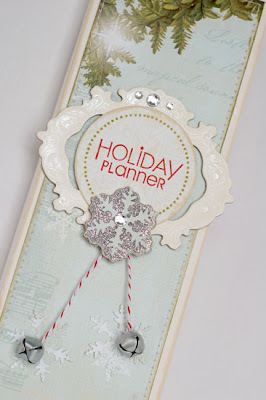 I embossed the cardstock on this first one. The buttons are from A Million Memories and I adore them. I love how they go with the embossed background. This next card uses some of the same elements. I added a pleated strip. I've been doing a lot of pleats lately. LOVE the texture. 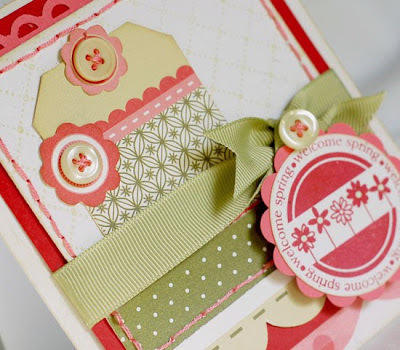 Speaking of cards, I wanted to share a new inspriation site with you. 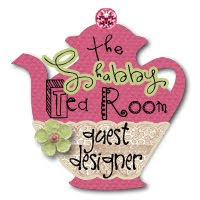 My friend Debbie Marcinkiewicz has just launched The Shabby Tea Room. I"m always looking for inpiration and if it has anything to do with 'Shabby', I'm in! Definitely head over and check out her blog. 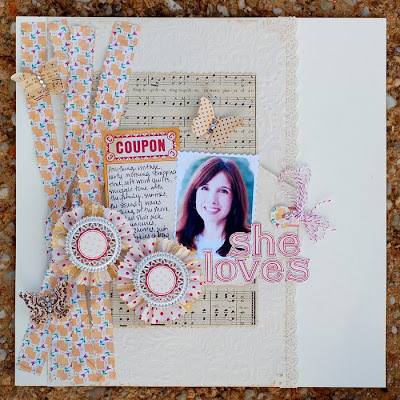 I'm hoping to post my card for the challenge later on this week. Well, that's it for this morning. Thanks for stopping by! Where did this week go? I can't believe tomorrow is Friday! 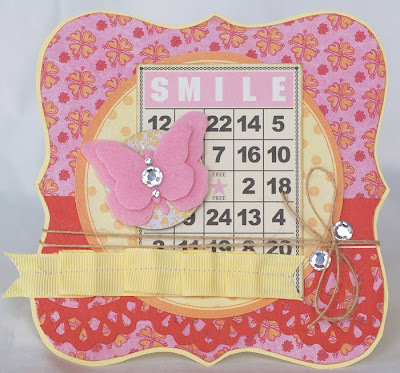 I have a couple of more projects that I created with the Jenni Bowlin Mercantile kit. Can't believe that Easter will be here before we know it. My birthday is on Easter this year! So, that will be fun. I cook for close to 20 people that day, so I may have to celebrate the day after. LOL. 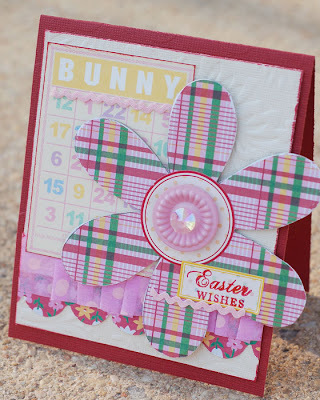 Speaking of Easter, here is a card. I love the big chipboard flower. 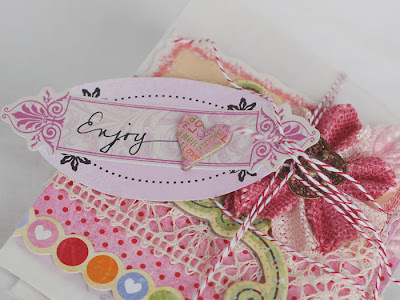 I covered it with the Homespun paper and I had to use more of that yummy crepe ribbon. I have totally loved working with the JBS folks this month. As you know, I'm just addicted to all things Jenni Bowlin!!! Thanks for stopping by. Hope you have a great weekend! What a taste of Spring we had this weekend! It was wonderful!! The kids were playing outside all weekend long. I don't think I've ever looked forward to Spring as much as I am this year! 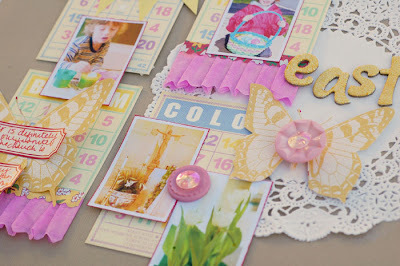 Did you have the chance to stop by Emma's this weekend and play along with the birthday celebration? If not, you can still participate! 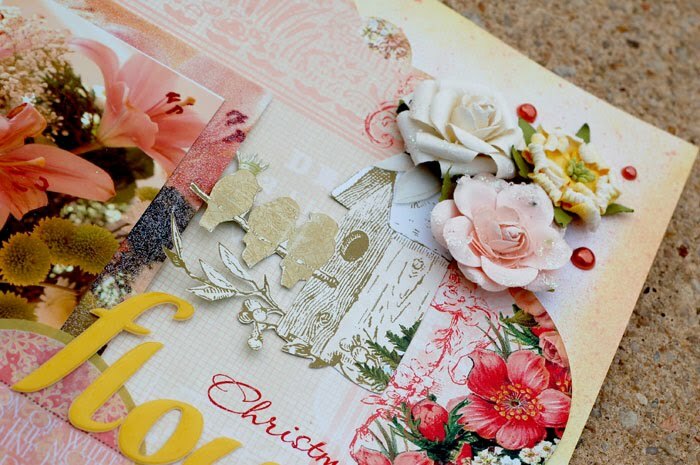 Cindy is giving away several $25.00 gift certificates. The details can be found HERE. Definitely check it out! Here is the project that I created for Emma's 2nd anniversary. I used a Tattered Angels' Timeless Romance calling card and stamps on here. I added the color to the roses by painting them with Glimmer Mist. It is soooooo easy to do. 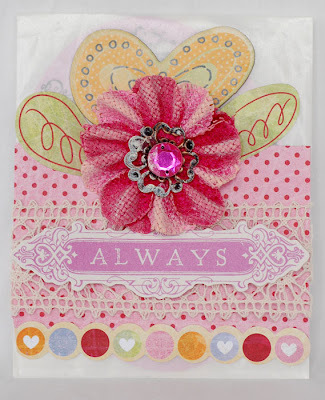 ;) I love the big Prima flower, too! 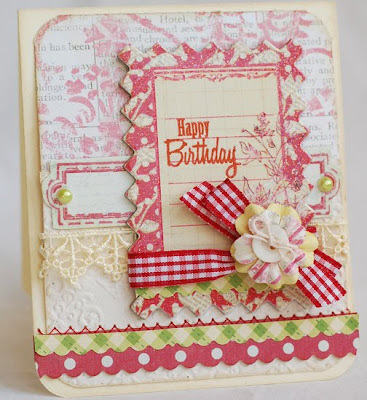 Next up is the card that I made for Emma's this past week. 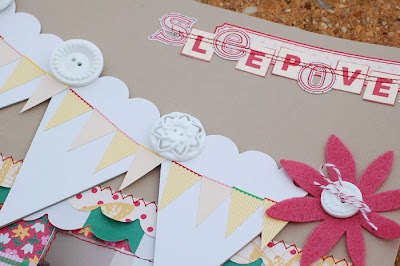 You can see the color challenge on the blog and check out the other projects the team made. They are awesome. 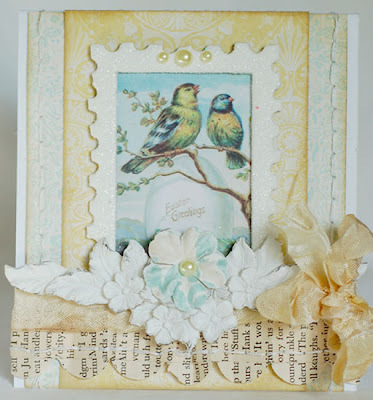 This card uses some BG Sugar Rush, Jenni Bowlin bingo card, butterfly and die cut paper (which I spritzed with Lemon Zest Glimmer Mist) and Zva gems. 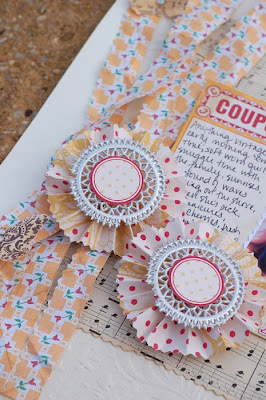 Speaking of Jenni Bowlin, I finished a couple of more projects using the March Mercantile kit. I can't wait to share them. 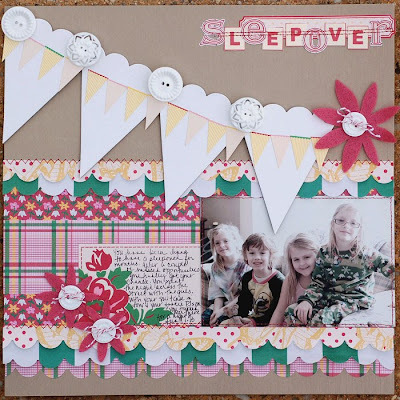 They will be posting more DT projects on Wed. and then I can post them here. I'm just so thrilled to be working with them this month. I absolutely adore JBS products!!! Well, thanks for stopping by. Have a great day!!! 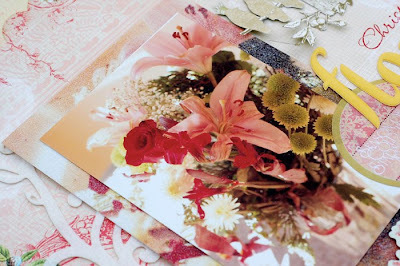 I changed my blog background! I'm officially in my "I'm-Done-With-Winter" mode, so the snowflake background had to go. :) Can't believe it's going to be in the 50s today. We have had snow for the last several weekends, so I'm thrilled that this one is going to actually be nice!!! Today, Emma's Paperie is two years old! I'm so excited for my sweet friend Cindy. ;) If you haven't shopped at Emma's, you need to. The selection is awesome and the customer service is amazing. 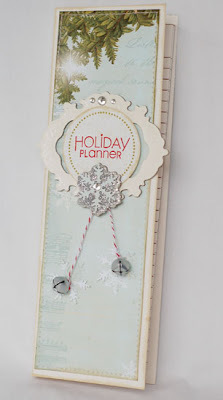 Plus, she posts a new project on the blog EVERY weekday. (And I have to say the projects are great!!!) 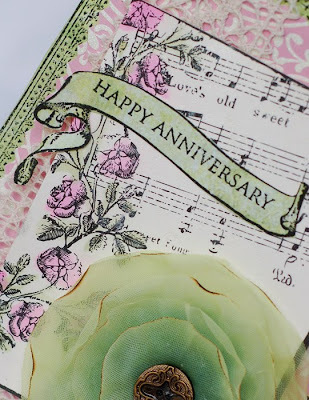 In honor of the anniversary today, Cindy has extra projects going up on the blog today, she's got prizes and some extra surprises up her sleeve, too. 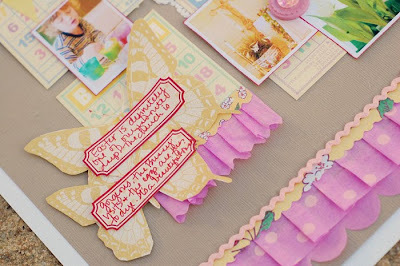 So definitely head over to the Emma's Paperie Blog from 9am-9pm today! Here is a project I did for Emma's last week. It's a little set of bagged tags. 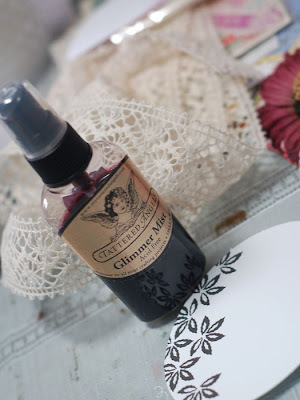 I started by spritzing some Creme de Rouge Glimmer Mist onto some Luxe Jotters. 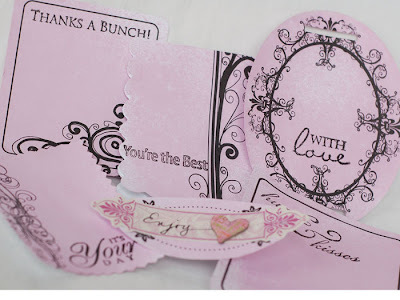 When they were dry, I stamped them with some Melissa Frances stamps. 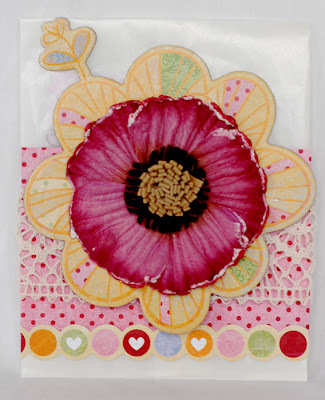 Then, I popped them into Glassine Bags that I'd embellished with trim, BG Sugar Rush chipboard and stickers, Prima flowers, leaves, etc. They were really quick and easy to do. I figured they'd make a nice gift if they're wrapped up together with a tag. Or, you can just give them away with gifts yourself. 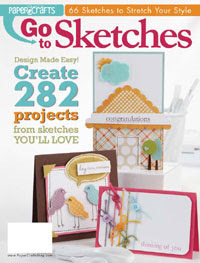 I think it would be fun to receive one of these!! So, that's it for today. Thanks for stopping by. Hope you have a wonderful weekend. Ugh. I've had a cold/sore throat/cough all week. I'm sick of being sick. Luckily, it's Friday and I don't have anywhere to go or anything to do this weekend. Yay. I plan on staying in my jammies and hunkering down in my scraproom. When I'm sick, my creativity goes out the window, so I'm itching to get back and get started. 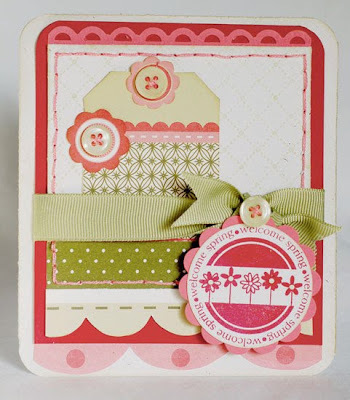 So, as promised, I have a couple of more Jenni Bowlin cards. 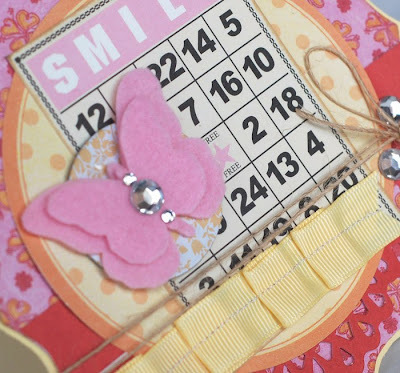 I know I've already said it, but I just adore everything in this months Mercantile kits. 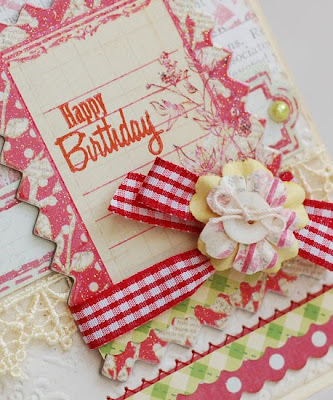 On this first card, I made ruffles from the crepe ribbon and stitched them to the center of the card. 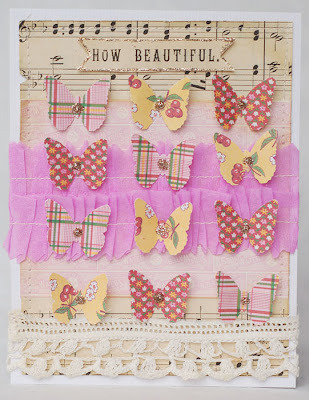 Then, I added some butterflies that I punched with my Martha Stewart butterfly punch. 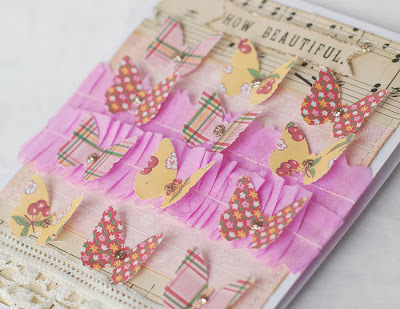 Folding the wings up gives this card lots of texture! I love the vintage feel the sheet music gave this one. 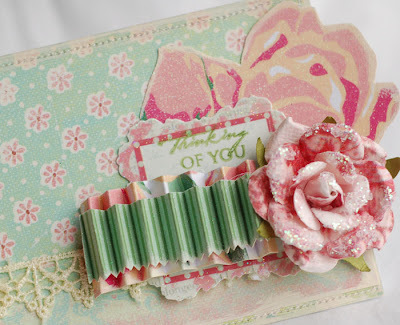 This next card uses the artisan chipboard and the mini papers. 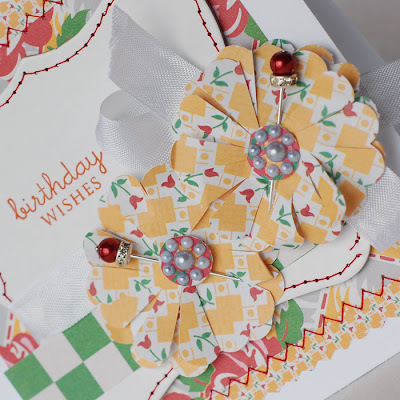 I created the flowers by punching scalloped circles, cutting them into the center and scrunching them up before layering them. Pins and seam binding finish them off.